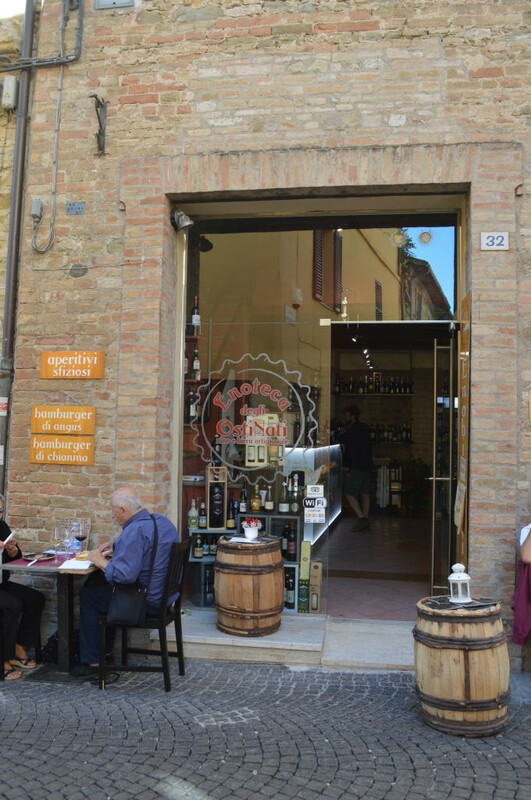 For those who are starving, want to eat something good, tasty and typical but do not have too much time to seat down for one hour or more (as we were in Bevagna) Osteria degli Ostinati is a perfect place: this tavern was opened in June 2014, in a style which combines tradition (see the stone walls) with modernity (as the luminescent counter). If it’s warm, you can even eat outside. 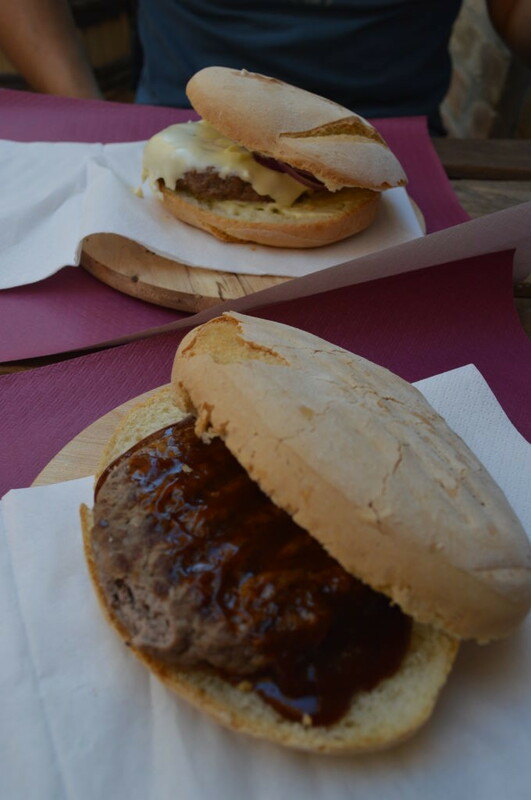 The menu is simple but very traditional: platters of local cheese and cold cuts, angus and Chianina beef burgers, Chianina beef skewers wrapped with bacon, mixed salads, snails in tomato sauce, meat dish and home made dried sweets. 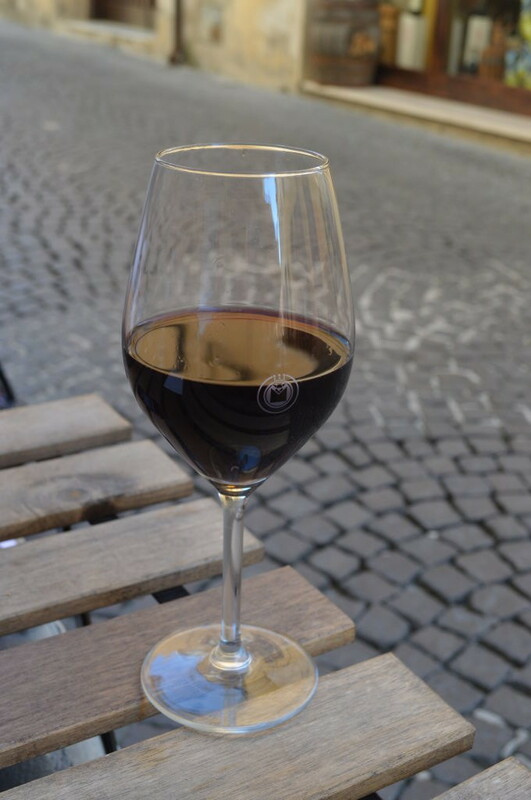 All goes with local wines, especially Sagrantino, or craft beers. We had a Chanina burger and we can say it was very tasty. The bread also was a high quality one, not an industrial bread, like the one you can find in fast foods. Of course, it was accompanied by a good glass of Sagrantino wine! The service is good, fast, with no frills and you can be sure that, although the place is quite small, they’ll always find a table for you! Prices are ok and match up with the quality of what you eat. 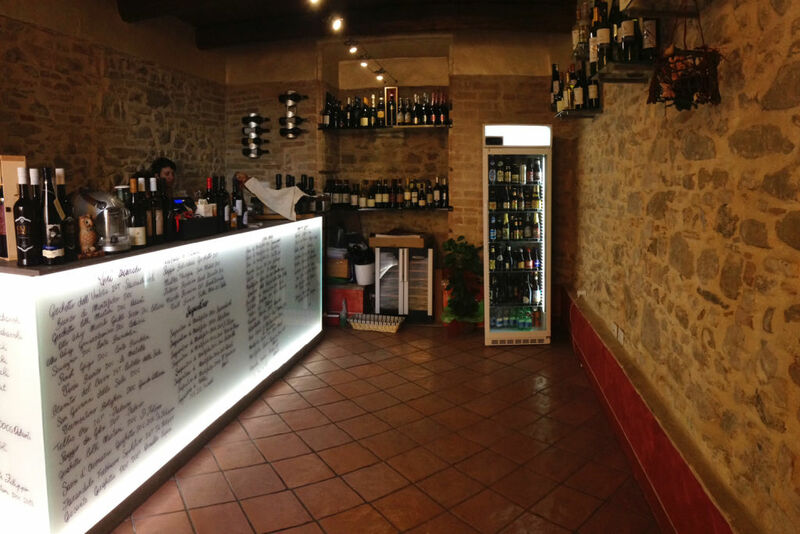 Our Tip: you may stop by after 6pm for an aperitif, take it slow and easy and transform it into a special dinner, tasting different wines and local products.